Log in and start downloading activities, follow the EYFS and start your Daily Diaries...! 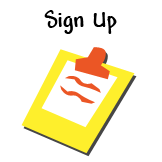 Please ensure that you allow emails from 'Toucanlearn.com' in order to complete the registration process. Please check here to signify that you agree to ToucanLearn's Terms & Conditions.